Forget about dowdy coffee tables that do nothing but sit in front of your couch and occasionally hold a drink or a book. Modern living room coffee tables have a lot more features that not only make them more stylish but also give them more practical use. You can do a lot more with these coffee tables than just put stuff on a surface. 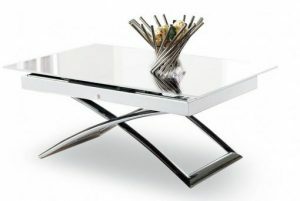 Depending on the kind of coffee table you choose, you can use it for a study area, a dining table, or a work surface. The extending glass modern coffee table is a great example of what’s possible. This is a table that can easily transform from a coffee table into a dining area for family and friends. The way that many expanding tables work is that you pull out the two sides of the table top and place a leaf (or two) in the hole in the center. While this does create more space for dining or work, it can be a bit cumbersome to manage those large pieces of wood or glass that go in the center. You have to find a place to store them that is also easy to get to when you need to expand the table, and then you have to carry around a big, heavy piece of table top and put it in place without scratching it or breaking it. The Obsidian extending glass modern coffee table has a push button mechanism that assists in lifting or lowering the table. The Obsidian table can also extend out with a hidden leaf for a larger table area. You don’t have to store the eaves anywhere, and you don’t have to deal with any clunky placement. 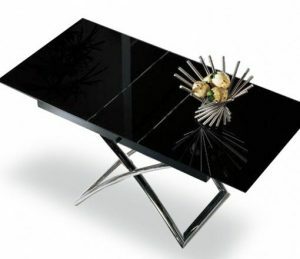 The Obsidian glass modern coffee table also raises up to make the dining table the right height. Then it lowers to make it the right height as a coffee table. Some tables that raise and lower in this way have legs that operate in a scissor-type mechanism. However, this table has an easy push-button mechanism to lower and lift it. Hit the button to unlock the legs and easily lower or raise the table. The button mechanism not only makes it easier to transform the table, but it also puts an extra safety measure in place to make sure the table doesn’t move out of position on its own if you bump into it. You don’t have to worry about where you’ll seat your guests if you want to invite over family and friends for a special meal. There is enough room to seat most standard dinner parties. You will have the space you need without having to house a large dining room table in your space all the time even when it is not in use. Of course, if you are pulling out all the stops for a big holiday gathering with all your family, the table won’t give you enough space. You’ll need to have another table on hand for a backup. However, this table will give you more than enough dining area for your everyday gatherings and dinner parties. 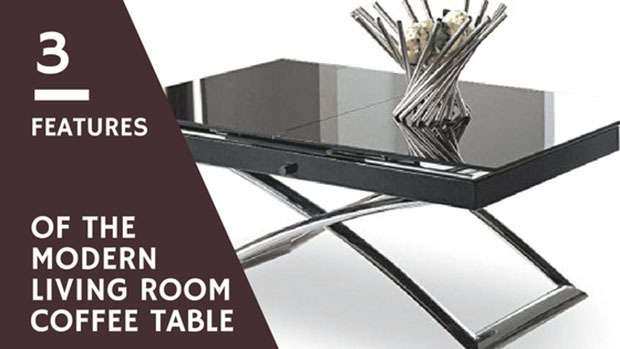 You get all these great features in one stylish package with the Obsidian extending glass modern coffee table. It has a beautiful design that will fit in perfectly with any modern décor. 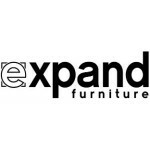 Expand Furniture has many high-quality and stylish options for space-saving furniture, whether you are looking for a modern living room coffee table or a beautiful Murphy wall bed. Our furniture helps you to make the most of the space while also creating beautiful décor that suits your personal style. Most of our furniture includes numerous customization options for finishes and more. You can get just the look you want and the functionality you need to make your home exactly what you want it to be. 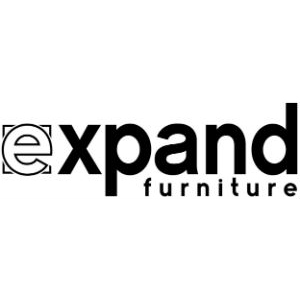 Explore our online catalog to find the perfect space-saving furniture solutions for your budget. Contact us today!